Most famous speed boat or yacht to keri beach. It is a quiet beach located to the north of the Arambol beach. 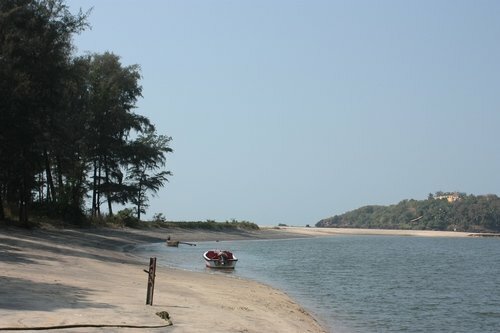 It is the northernmost beach of Goa that is backed with palms and casuarinas trees. The white sandy beach is one amongst the lesser-crowded beaches of Goa and is a serene and calm place to spend a beautiful honeymoon holiday. Across the riverbank one can also see the famous ancient Portuguese fort known as the Tirakol fort. From the Tirakol fort the Keri beach has an exotic view. The Keri beach can be reached from Arambol and there are a few shacks and restaurants that serve local fresh seafood here. One can also enjoy a lot of water sports at the Querim beach and even go paragliding.